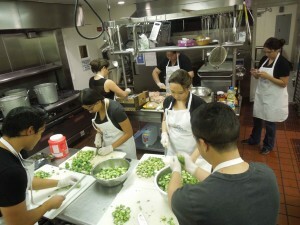 Last Thursday, 10 Spokeo volunteers gathered together to help feed 65 residents at the Union Station Homeless Shelter. 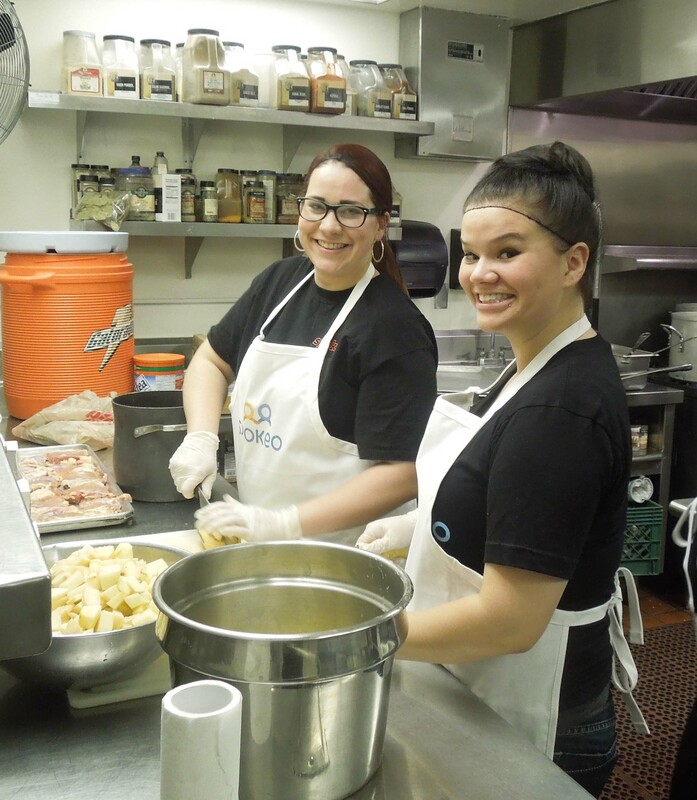 A mix of employees from designers, to marketers, to customer service reps split up the tasks of chopping, skinning, frying and dish washing and had a blast. After an hour-and-a-half of prep time, the residents happily enjoyed fried mustard chicken, mashed potatoes, bacon Brussels sprouts and apple pie. 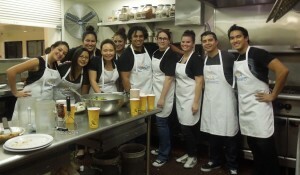 What a wonderful and rewarding experience!! If you’d like to volunteer to adopt-a-meal with Union Station send an email to volunteer@unionstationhs.org.